This screening session is built around the themes in Feed your friends, the current project at ODD in which the four curators invited their friends to exhibit into a sort of extended living room, in the middle of a roaring city centre. Haegue Yang (b. 1971 in Seoul, lives and works in Berlin and Seoul) is known for her extensive installations, which mostly consist of everyday materials and create poetic situations through their composition. The video work Holiday Story shows the South Korean city of Seoul during the national holiday Chuseok, whose importance and way of celebration is comparable to the American Thanksgiving in the circle of the family. 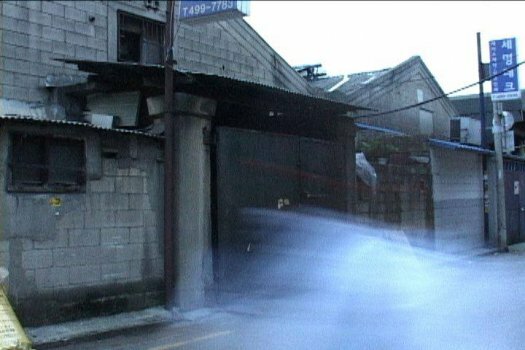 Thus, Yang’s work shows empty streets, stores shut by metal locks and abandoned warehouses. This emptiness forms the scenery, in which a female voice is heard, reflecting the relationship between leisure and work. In a rhythmic tone, the words “work” and “rest” are only placed one behind the other, then against each other. Furthermore, holidays and leisure are brought into a critical dependency relationship to work. In a neoliberal economy, holidays symbolize the recovery from work, with the aim of continuing to work more effectively after a short break. For this purpose, the concept holiday is stylized as a resting and reflection space for happiness expectations. This cycle of video works called Performing revisits several video-performance works (*1 – *6) from the seventies. The protocols of these pieces are reenacted in a child’s room, by two sisters, aged 10 and 6. Appropriation, by young girls, of these significant performances underlines the childish source of the actions. Childhood games sometimes seem to serve as raw material to stage adult deviancies. The video Performing therefore goes “back to the source”. In collaboration with Michael Hofer. QUIET ODD is a permanent venture between ODD and Centrul Ceh. In 2017 it functions as a collaboration with Neuer Berliner Kunstverein. Part of P R I V A T E L Y, the annual program at ODD. Supported by AFCN.